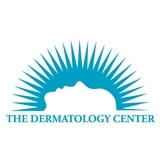 NY Dermatology PC (Bayside) - Book Appointment Online! The Doctor was good, I was irate when my son prescription was not signed.The pharmacist called the office and tried to get a signature, it took from 11:00 am to after 3;00 pm to have the office respond. I had to call and be placed on hold numerous times before anybody could help me, I was also told,I may have to wait up to Wednesday to get a signature. Today was Monday 04-25-16 I had to call back and get mad before someone helped me.